Each summer prevailing winds in Arizona, which are typically out of the west, shift to a southeasterly direction bringing with it moisture from the Gulfs of Mexico and California. These bursts and breaks are the summer Monsoon. The word ‘monsoon’ is often used to refer to a single thunderstorm, and that is accurate. But the term also applies to this large scale weather pattern that brings these storms to the region as well. Most people have likely heard the word monsoon used to describe weather in other areas of the globe such as South Asia or Africa. To many it is not something commonly associated with the desert southwest United States. It almost sounds like a joke, right? Daily rainstorms in the desert. Well, its not. In fact, the monsoon is a vital part of the environment in the Southwestern United States as the rains tame summer wildfires and provide an important water supply to the people and animals who live in the deserts. On average, about half of Arizona receives nearly half of its total annual rainfall during this time each year. Monsoon season in the Southwestern United States begins in mid-June and continues through September, with storms peaking between early July and mid-September. Photogenic thunderstorms abound as they stretch across the region firing off localized sheets of rain, flashes of lighting and clashes of thunder. They are fueled by daytime heating and build up during the late afternoon-early evening. Downpours often don’t last long, but the rainfall is heavy and can cause flash floods and debris flows capable of some pretty serious destruction. Trees, trails, boulders and even cars and houses can be destroyed in a matter of minutes by these debris flows, which alter the landscape of the soft sedimentary-laden landscape that is typical of the desert southwest. Landscape photographers, like us, are sure to delight in scenes composed with massive curtains of rain, puffy clouds of pastels, oranges and pinks that can make one feel as if they are living inside of a painted easter egg. And Lightning… Glorious and triumphant displays of lighting! Lightning is one of nature’s most dynamic and dramatic forces, truly a once in a lifetime shot as no two lightning strikes will hit in exactly the same place in exactly the same way. We’ve all seen lighting, but what exactly is it? Lightning is a huge electrical discharge that results from the rising and sinking air motions that occur in thunderstorms. It can be either connect from one cloud to another, or shoot from a cloud down to the ground. Lightning can occur between opposite charges within a thunderstorm cloud, or between opposite charges in the cloud and on the ground. It has different appearances, but is always accompanied by thunder, whether you hear it or not. There are four types of cloud-to-ground lighting. These include staccato, forked, ribbon, and bead lightning, all of which can provide a unique intensity to our images. ‘Staccato’ lightning is a strike which is a short-duration stroke that often appears as a single very bright flash and often has considerable branching. 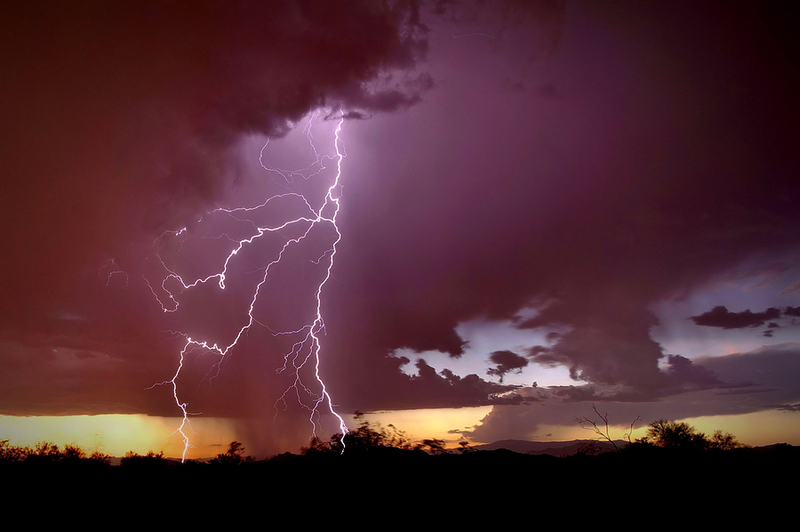 ‘Forked’ lightning is cloud-to-ground lightning that exhibits branching of its path. ‘Ribbon’ lightning occurs in thunderstorms with high cross winds and multiple strokes. The wind blows each successive stroke slightly to one side of the previous stroke, which causes a ribbon appearance. And finally, ‘Bead’ lightning appears to break up into a string of short, bright sections. This one is relatively rare. Images of strikes are all well and nice and can be quite rewarding, but when combined with an interesting landscape element, the photograph will stand out as an artistic piece capturing one of nature’s most dynamic and dramatic forces with quality compositional elements. 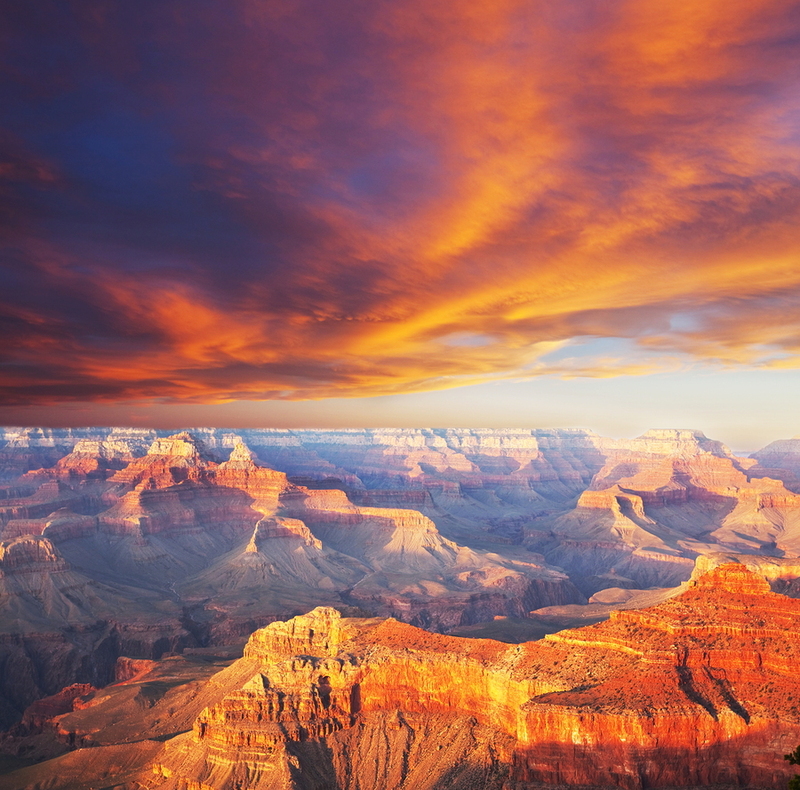 Which is why Backcountry Journeys has chosen the desert southwest to host its Southwest Monsoon: Grand Canyon Country tour. 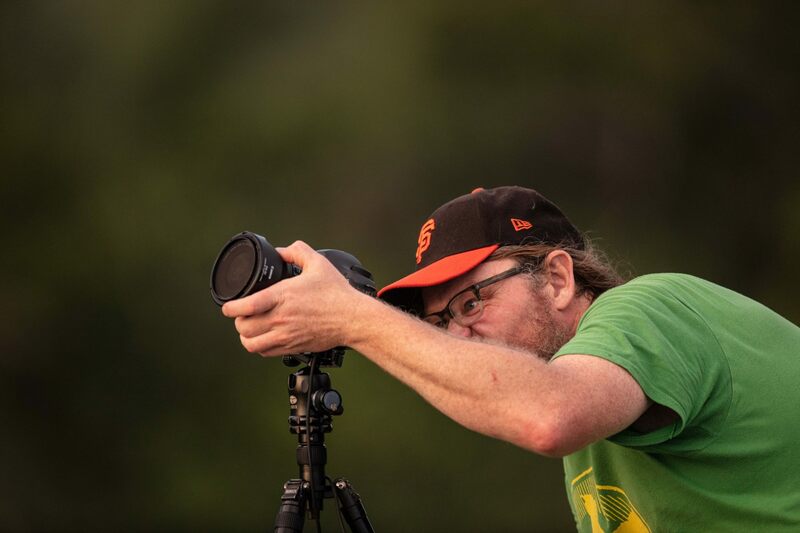 This landscape photography oriented expedition will put you and your lens in front of some of the most iconic and spectacular locations in the world at a time when thunderstorms are sure to be firing off with regularity. Each day thunderstorms build towering cumulus clouds as they build, eventually bursting, sending sweeping rains, wind and dust across the desert floor. These storms typically have high bases which can create long and forking bolts of lightning to occur. For photographers, these storms are truly the best in the world. The Grand Canyon’s North Rim, where we’ll spend two nights and photograph from a variety of viewpoints, is one of the more spectacular places on earth. From here storms will be visible from a hundred miles away as they cross the desert landscape. Monument Valley, Horseshoe Bend and Lake Powell are some of the southwest’s most famous and beautiful landscape shots on their own. When paired with lighting they become haunting and dramatic images. 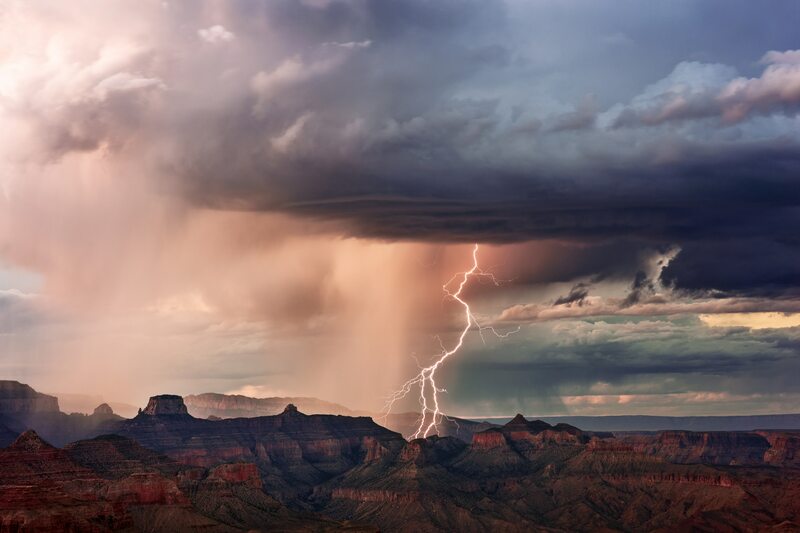 A trip of a lifetime awaits you, under stormy skies out in the desert southwest.